Brought to you by the Number Seven | Just Shooting Memories! At one point in my childhood, I wanted to be a marine biologist when I grew up. I was fascinated by the ocean and the creatures living in it and wanted nothing better than to spend countless hours swimming with them. I did not grow up to be a marine biologist, but I still love the ocean. I decided to share some of that and took my children on a dolphin cruise. 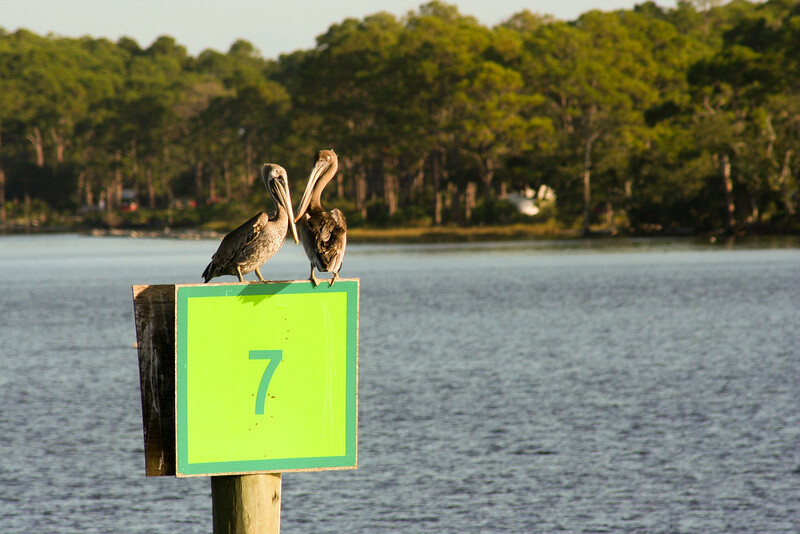 On our way out of the bay, I noticed these two pelicans sitting on one of the navigation signs.